When I read the blurb, I honestly thought it’d be way worse than what I’ve now read. However I’m not really interested in Trolls. It’s a little too heavy on the side of high fantasy for me, sorry. It was moderately well written, but I find that for most high fantasy reads. 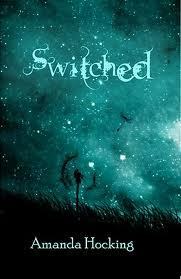 I liked the protagonist’s rational mind, she wasn’t a cliche like almost EVERY OTHER YA FANTASY BOOK. She was actually skeptical and reluctant to abandon her old, mundane life. That was refreshing.